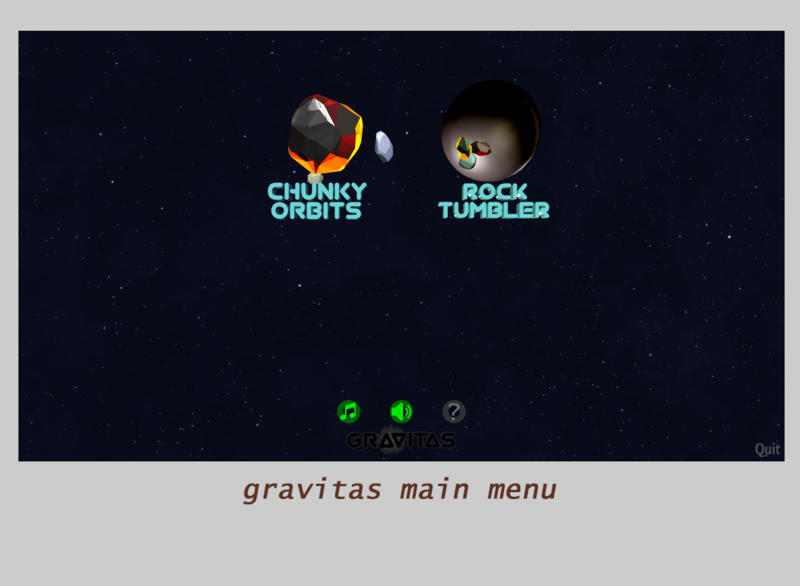 Gravitas is a physics and Gravity toy. 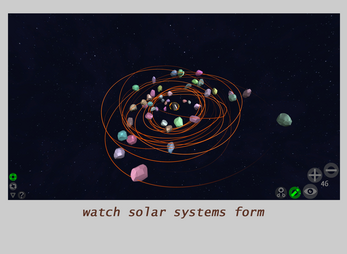 There are currently two toys in this toybox: Chunky Orbits & Rock Tumbler. 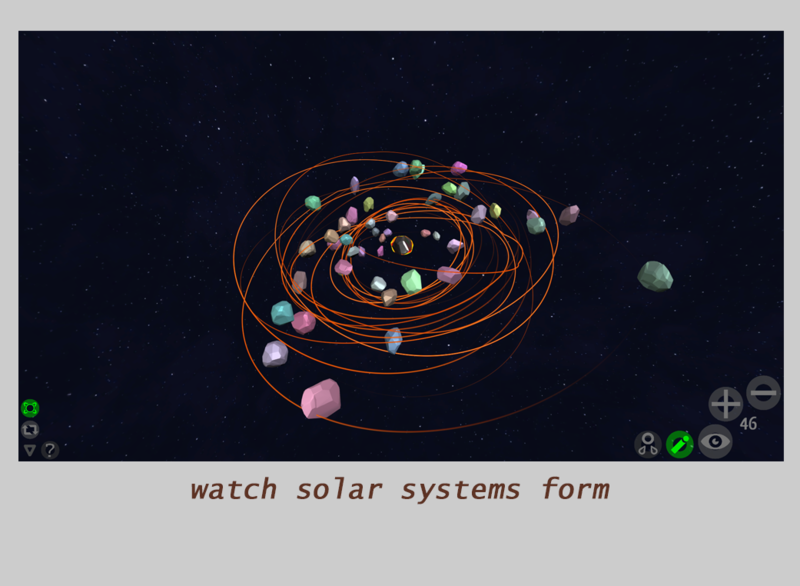 Create a sun-like CenterStone and create your own solar system! Rock Tumbler is a simple bit of eye-candy. 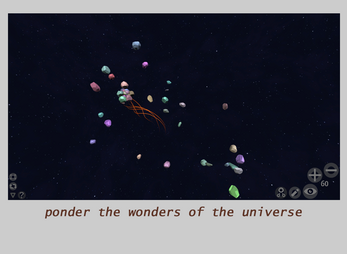 It's a sphere full of colorful rocks and gems. 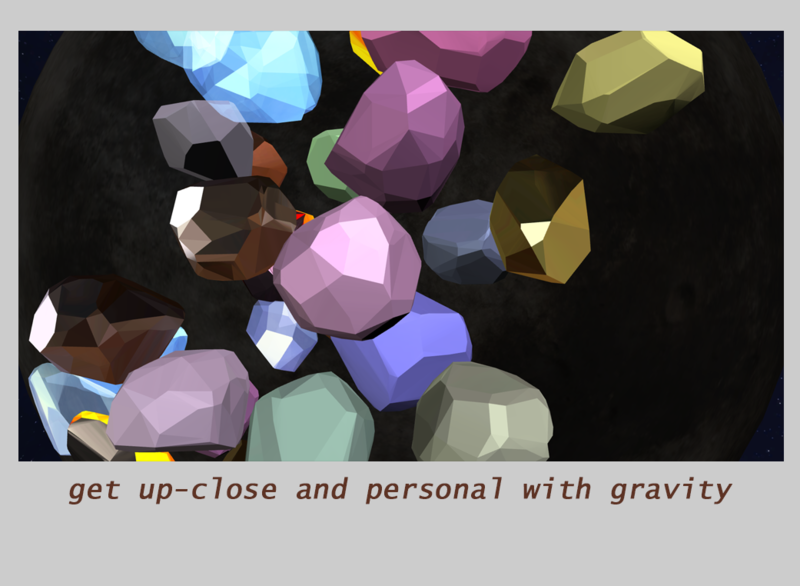 The rocks tumble towards the screen with a swipe of your finger. A pleasing display of gravity at play. 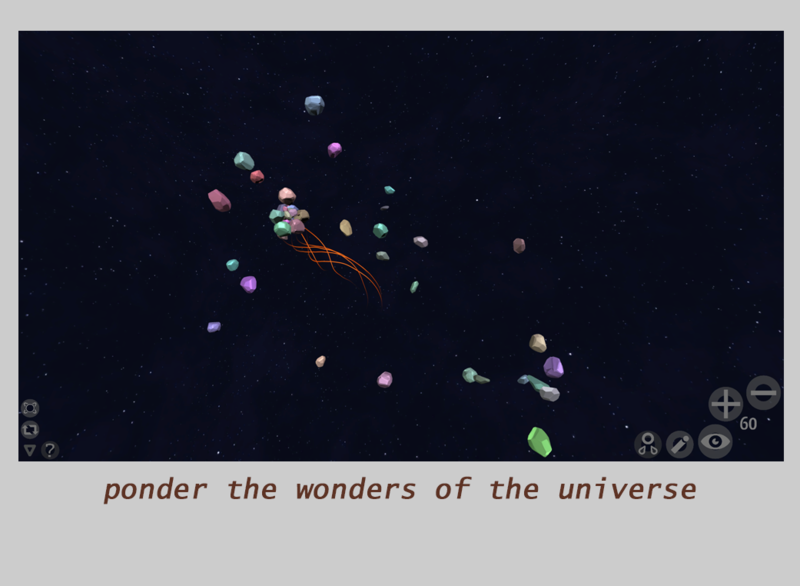 I'm offering this simulatiuon for free but you can also Pay What You Want to help support my game dev efforts. Thanks! 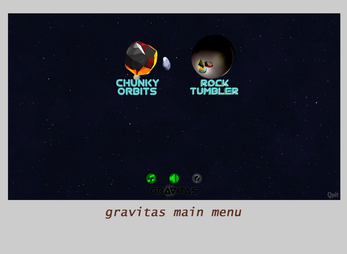 Also try the new VR version of Gravitas for the Oculus Rift.